This 1977 American print advertisement introduced the Apple II, one of the first mass-market computers. 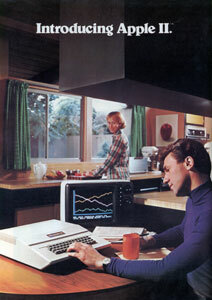 Not all such presentations exhibited the traditional gender stereotyping shown here, but most relied on pre-existing visual clichés of domesticity to affirm the computer as reassuringly connected to everyday life. By the late 1970s, it was technologically possible to manufacture microcomputers – very small, stand-alone computers for personal use – in very large quantities. Selling them, however, meant creating a mass market where none existed: conventionally, only trained professionals, and a few devoted enthusiasts, interacted directly with the machines. Designers, marketers, retailers and other promoters therefore sought to build meanings into the design and presentation of computers which would connect them with new audiences. Such meanings reflected – and might themselves modify – the prevalent hopes, fears, desires and expectations of the users’ cultures. Of course, the same is true of the meanings of cars, telephones, and other kinds of artefacts. What makes the computer particularly interesting, however, is that its ability to take on multiple meanings was itself a strong, explicit feature of its promotion. As the iconic universal machine, endlessly reprogrammable, the computer was sold as capable of performing feats as yet unimagined, perhaps without limit. In reality, some limits were imposed as certain patterns of use and interpretations became dominant, and others were inherent in the machines’ technical characteristics. Nonetheless, ‘the computer’, in its earliest period of mass-public engagement, was unusually plural and mutable. While microcomputers were often sold with identical hardware internationally, their associated meanings could be highly dependent on national or other culturally specific factors. I will focus here on the vigorous microcomputing culture which emerged in the United Kingdom from around 1980. This development was strongly conditioned by public awareness of the country’s long-standing relative economic decline, and consequent loss of international status. Futurological literature responding to the growth of microprocessor technology was particularly resonant in this climate. In what David Skinner has described as a ‘millenarian’ assessment of the scale of the coming change, vast transformations were prophesied: ‘ultra-intelligent machines’, medical diagnosis replaced by automated expert systems, omniscient electronic surveillance, the need to reorganise society as millions of jobs became obsolete.1 It seemed that Britain, which had so far failed to negotiate the conspicuous challenges of post-war industrial change, might now be pushed into terminal collapse. Alternatively, radical global changes might – given a determined programme of action – offer the chance of resurgence, replacing lost traditional industries with a blossoming silicon-based economy. Here, then, was a promising set of meanings: the computer as key to the future. To focus on radical change and unfamiliar characteristics, however, was to invite associations with popular notions of a dehumanised dystopia: computers had also to be made reassuring and familiar. One path to achieving this was literally to place them in familiar surroundings, giving ordinary people direct ownership and control of individual machines. The interests of information-awareness advocates thus aligned with manufacturers’ desires to make computer production a high-volume business. 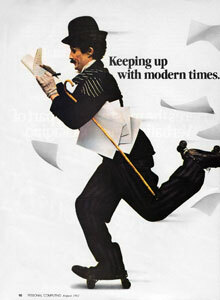 ‘Charlie Chaplin’ (in fact Bill Scudder, a professional mime and lookalike) was the focus of the memorable print and TV campaign for the IBM PC and its successor products, which ran from 1981. In the classic film Modern Times of 1936, Chaplin’s ‘Little Tramp’ character is a factory worker persecuted by gigantic assembly-line machinery; the PC campaign asserts that the machines of the microcomputing age work for the individual, not against him. 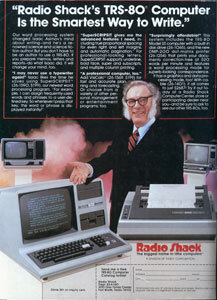 Advertising for the TRS-80 microcomputer in the USA relied on endorsements from Isaac Asimov. The choice of a ‘renowned science and science-fiction author’ usefully bridged the gap between the futuristic connotations which still inevitably attached to computers around 1980, and an everyday task (word processing) to which the machines would be put in reality. Some rival campaigns similarly evoked the scientific future through their choice of spokesman: Star Trek’s William Shatner promoted Commodore. A contrasting strategy was demonstrated by Texas Instruments’ use of Bill Cosby, a high-profile comedian with a non-technical, likeable everyman persona. Sinclair’s control of the market it defined was short-lived. 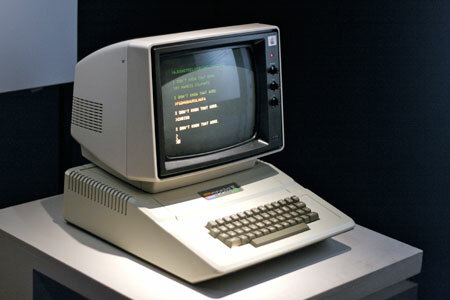 Commodore successfully imitated its price-cutting strategy,7 taking a large share of British sales and dominating analogous sectors in other European countries, notably the Federal Republic of Germany.8 There was also a notable British competitor, Acorn, producer from 1981 of an officially endorsed machine for the BBC Computer Literacy Project. 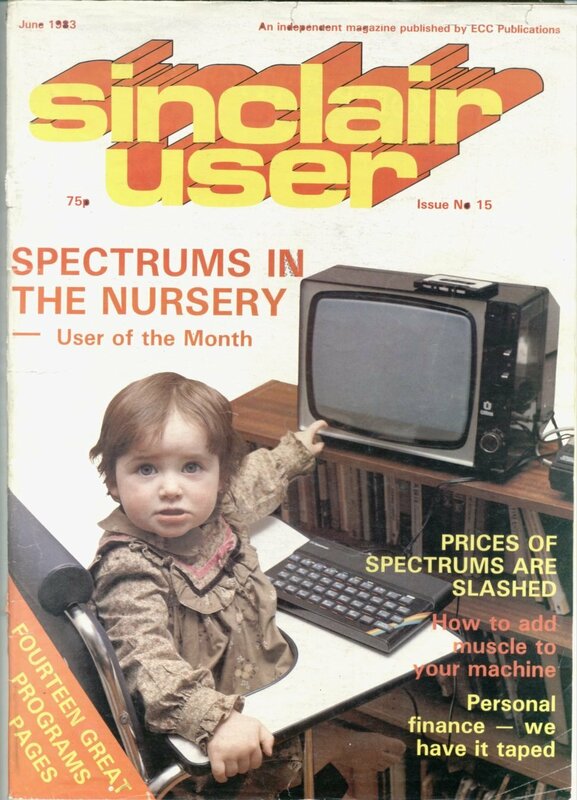 Though considerably more expensive than Sinclair’s machines, the BBC Micro achieved a strong public profile, dominating sales to schools and the upper end of the ‘home’ market. 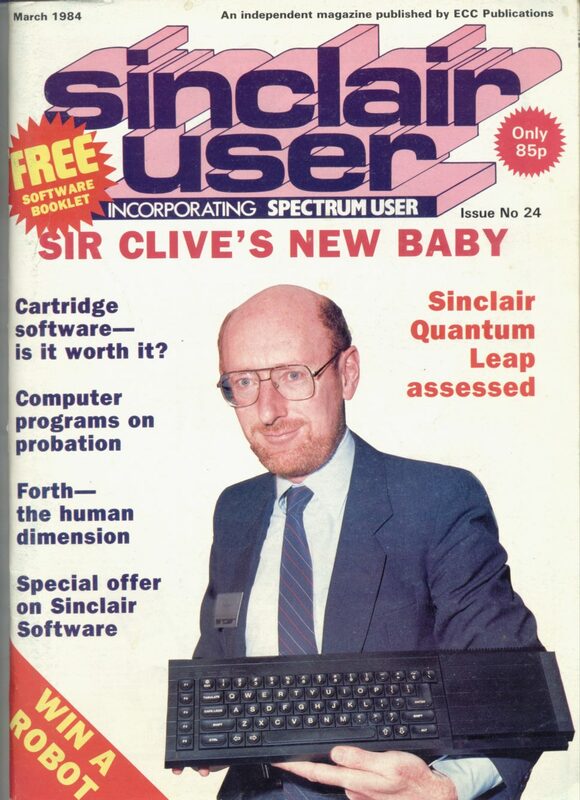 Nonetheless, Sinclair remained a powerful, distinctive archetype for the concept of computing in Britain. 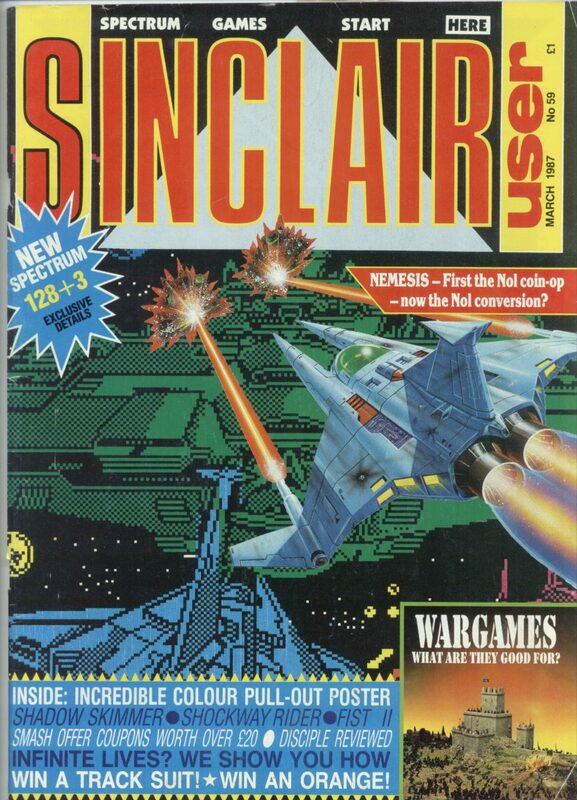 Visually, Sinclair’s machines were certainly plausible as gateways to the future. 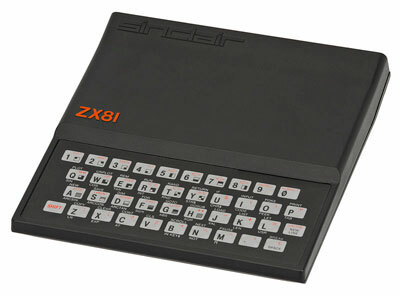 The ZX-80 was a tiny, tapered envelope of white vacuum-formed plastic; the ZX-81, in Sinclair’s preferred black livery, was more substantial, but still small enough – 175mm on its longest edge – to evoke the rhetoric of micro-miniaturisation. Whereas the American machines’ keyboards clearly showed the heritage of the mechanical typewriter, Sinclair’s were pressure-activated membranes, flat and sleekly minimal. 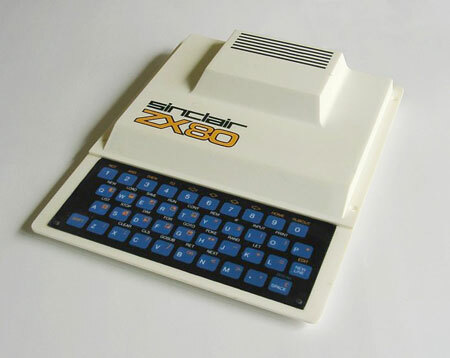 The Sinclair ZX-80. The white casing departed (for reasons of cost and convenience) from Sinclair’s preference for conveying futuristic appeal through a uniform matt black finish, previously seen on the ‘Black Watch’ digital wristwatch of 1975. 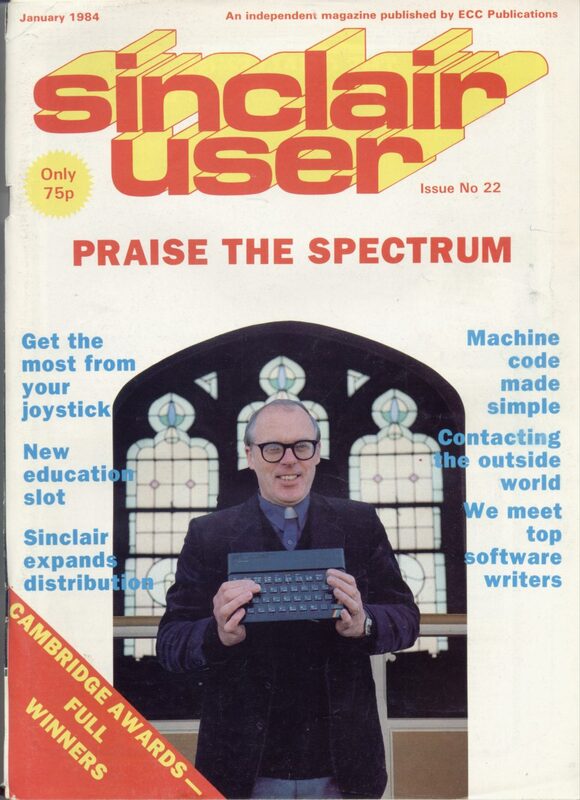 The Sinclair ZX-81. Like the ZX-80, the machine relied on a flat and unresponsive membrane keyboard, inconveniencing typists but contributing to its sleek lines. The visual identity of the Sinclair machines contrasts strongly with that of the more robust and far more expensive Apple II, which accommodated a full-sized keyboard. The bulky but tapered ‘cheese wedge’ appearance was imitated by Sinclair’s rival Acorn, which aimed its machines at the upper end of the British market. In fact, the new machines’ novelties were principally cost-saving measures. The membrane keyboards were difficult to type on; the small physical form implied limited storage and a lack of inbuilt expansion possibilities, and the designers had used many idiosyncratic tricks to squeeze an acceptable performance out of the limited hardware, making the machines highly incompatible with their competitors. Initial advertising for the ZX-80, by emphasising it as a ‘complete computer’, tacitly acknowledged that some hobbyists and others familiar with microcomputing would see it as no such thing. None of this necessarily mattered, however, to audiences who had never previously dreamt of holding a computing machine. 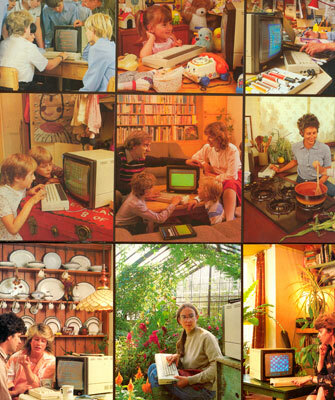 This matrix of images appeared on the retail packaging box for the Acorn Electron, an attempt by the BBC Micro’s manufacturer to enter the lower cost market defined in the UK by Sinclair and Commodore. Where the BBC Micro’s marketing had focused on education, the Electron was presented as more of an all-purpose machine for home use. Variations on the ‘domestic setting’ theme are multiplied to an extreme level. Print advertisement for the ZX-80. The promotional copy varied depending on the intended audience. This version, from the popular-science magazine New Scientist, positions the computer as an ‘old friend’ and makes reference to children’s education, elements which were not included in versions aimed at electronics hobbyists. 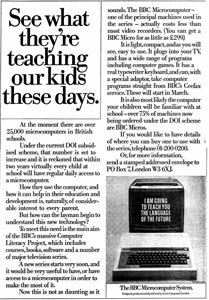 1983 newspaper advertisement for the BBC Micro which accompanied the Computer Literacy Project. In presenting the computer as offering fluency in the ‘language of the future’, the advert makes use of a millenarian rhetoric which was actually becoming less common by this point, as computers were increasingly familiar. Acorn’s strong and assured sales base in schools education led it to address much of its marketing to parents, continuing to promote the microcomputer as a learning device, while competitors increasingly stressed leisure or business advantages. Encouragement to accept the socialised computer as normal came not only from advertising geared towards specific machines, but from advocates of the new information culture in general. 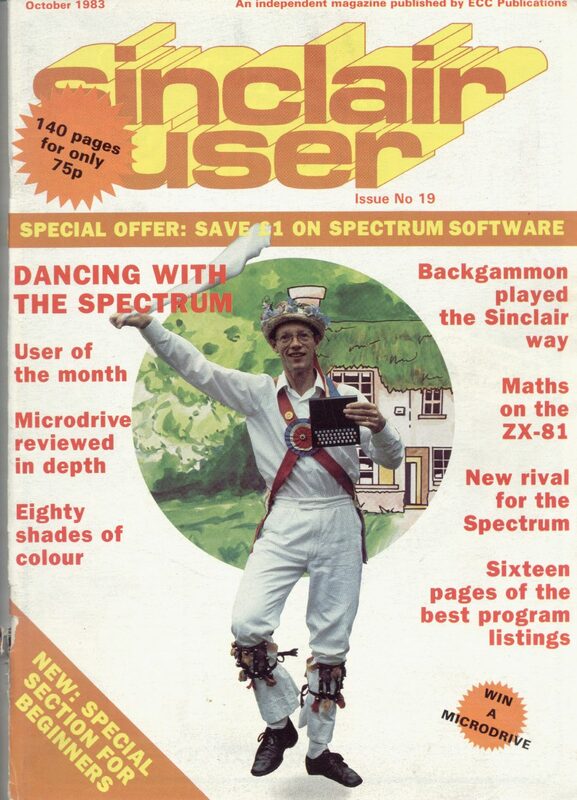 Robin Bradbeer, an electronics lecturer and organiser of hobbyist groups, published one of the first microcomputing guidebooks for the UK market in 1980. The cover artwork depicts a computer on a deep bookshelf. Alongside it sits a vinyl record player; below it, children’s toys; above it, books about famous artists.12 The arrangement is symbolic rather than practical, but it makes the same point as the posed photographs: computers are home appliances to inform and entertain, and they are for everyone. What, however, did the new users expect to use the machines for? 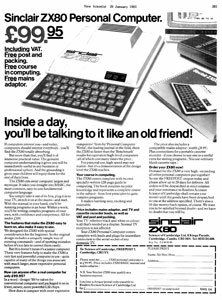 Early publicity employed notorious artistic licence in describing the machines’ versatility: the ZX-80, supposedly, could do ‘quite literally anything from playing chess to running a power station’.13 Such claims soon disappeared, not only because they were implausible, but because mass-market customers did not run power stations. The marketing cliché which arose instead – again, drawing on American precedents – was firmly domestic: microcomputers would store recipes, manage the household accounts, provide entertainment, and educate the children. Unsurprisingly, it has been suggested that the supposedly intrinsic educational value of computing was merely a ‘Trojan Horse’ to smuggle games equipment past watchful parents21 – a suspicion which, at least in Commodore’s case, was apparently well-founded.22 Some have argued that the whole phenomenon of the ‘home computer’ was based on deceit, as manufacturers took advantage of the contemporary Zeitgeist to dress up a ‘machine in search of a purpose’ as a commercial or educational necessity.23 Skinner, interviewing purchasers around the turn of the millennium some ten years after the event, reported some as asking: ‘were we conned?’24 Their uncertainty, however, bears witness to the enduring multiplicity of meanings at work. Once established, the rhetorical conventions of the ‘home micro’ proved a highly durable promotional resource: advertising copy as late as 1987 still addressed machines as allowing users not only to ‘destroy the aliens’, but to ‘defeat the taxman’ with financial management software.27 It took until the early 1990s for the ethic finally to fade in Britain, squeezed between IBM-compatible PCs designed primarily for offices (which were newly affordable in the home market) and dedicated videogame consoles. Recently, however, elements of the ethic have strongly resurfaced in the movement to promote computer-science education. Most remarkable is the $35 Raspberry Pi box, explicitly a new generation version of the cut-down, self-referential computer. Again, the background is one of profound economic and social uncertainty, and again, the computer – or, rather, the ability to respond to the computer – is promoted as a path to salvation.28 The legacy of mass computerisation, then, lies as much in the construction of meanings as in the design of the machines themselves. 1 David Skinner, Technology, Consumption and the Future. The Experience of Home Computing, PhD thesis, Brunel University, 1992, pp. 32-69. The key example of this genre is Christopher Evans, The Mighty Micro, London 1979; and see also Anthony Hyman, The Coming of the Chip, London 1980; Peter Laurie, The Micro Revolution, London 1980. 2 Thomas Lean, The Making of the Micro. 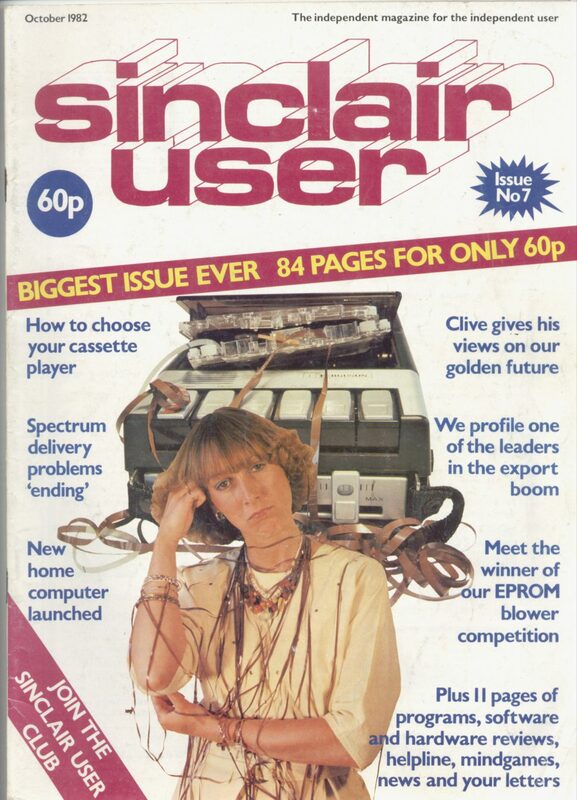 Producers, Mediators, Users and the Development of Popular Microcomputing in Britain, 1980–1989, PhD thesis, University of Manchester, 2008, pp. 56-59; Ian Adamson/Richard Kennedy, Sinclair and the ‘Sunrise’ Technology, Harmondsworth 1986. 3 The initial scope of this project is usefully summarised in a contemporary information bulletin: BBC Continuing Education Television. 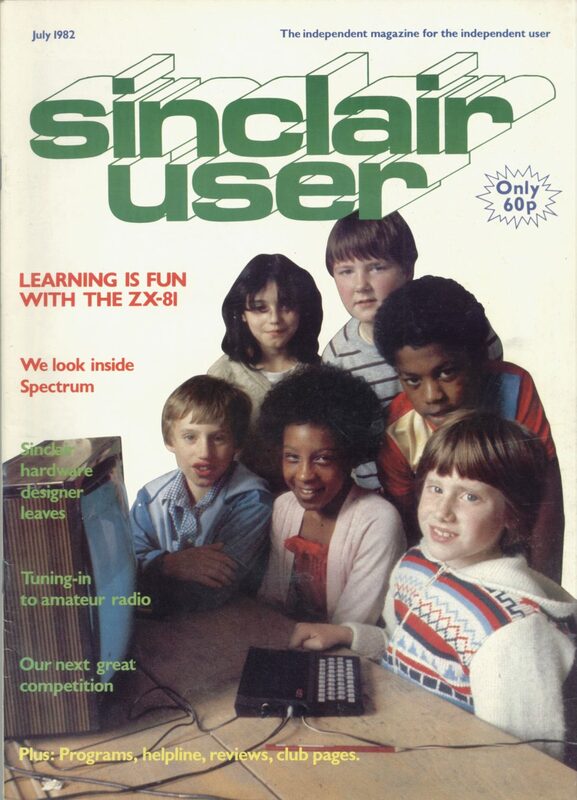 Computer Literacy Project, 1981, URL: http://www.computinghistory.org.uk/pdf/acorn/BBC-Computer-Literacy-Project.pdf. 4 James Chposky/Ted Leonsis, Blue Magic. 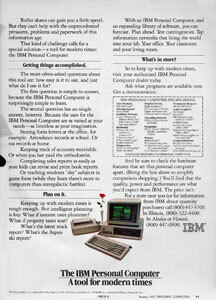 The People, the Power and the Politics behind the IBM Personal Computer, London 1989, pp. 76-80. 5 Leslie Haddon, The Roots and Early History of the British Home Computer Market. Origins of the Masculine Micro , PhD thesis, Imperial College, University of London, 1989, p. 125. 6 Rodney Dale, The Sinclair Story, London 1985, p. 107. 7 Brian Bagnall, On the Edge. The Spectacular Rise and Fall of Commodore, Winnipeg 2005, pp. 152, 159. 8 Haddon, Roots (fn. 5), pp. 36-42, 45-49. 9 Maureen McNeil, The Old and New Worlds of Information Technology in Britain, in: John Corner/Sylvia Harvey (eds), Enterprise and Heritage. Cross-Currents of National Culture, London 1991, pp. 116-136, here p. 123. 10 Adamson/Kennedy, Sinclair (fn. 2), pp. 97-99; Lean, Making of the Micro (fn. 2), pp. 72-75. The advertisements in question appeared in, for instance, Times (London), 22 September 1980, p. 5E; Times (London), 24 August 1981, p. 5D. 11 For the computer invoked as an aid to family cohesion in the American case, see Lori Reed, Domesticating the Personal Computer. The Mainstreaming of a New Technology, in: Critical Studies in Media Communication 17 (2000), pp. 159-185, here pp. 176-178. 12 Robin Bradbeer, The Personal Computer Book, Bradford 1980. 13 This wording appeared in the version of the advertisement aimed at hobbyists; see http://www.gondolin.org.uk/hchof/related-images/zx80-1.jpg. 14 Haddon, Roots (fn. 5), pp. 27-29. 15 Lean, Making of the Micro (fn. 2), p. 179. By 1984, according to the best available estimate, 9% of British homes had a computer: General Household Survey 1984, London 1986. 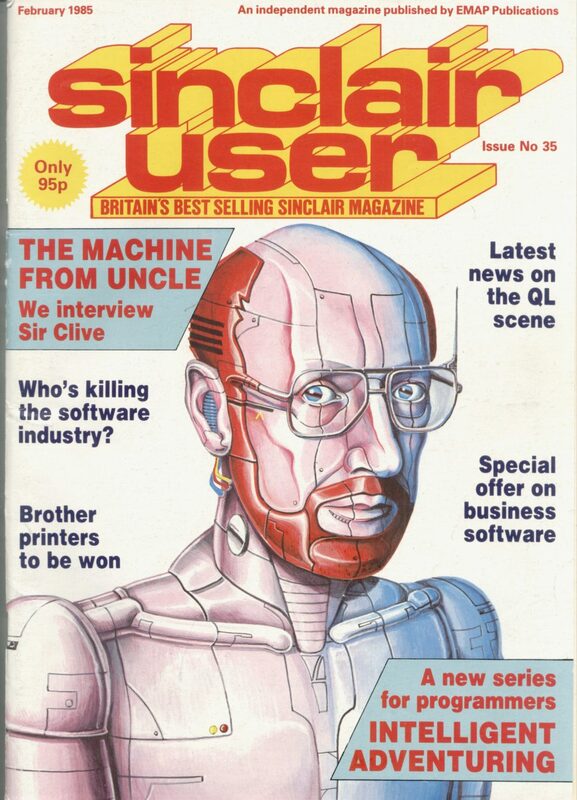 Unverified estimates in The Home Computer Course, a magazine part-work of 1984, suggest there were then 2.2 million microcomputers in Britain, as against 0.6 million in the Federal Republic of Germany and 0.5 million in France. My thanks to Tom Lean for guidance on this point. 16 Ian Stewart, Computing: A Bug’s Eye View, Nantwich 1983, introduction. 17 Robin Bradbeer et al., The Computer Book, London 1982. 18 Haddon, Roots (fn. 5), pp. 234-305. 19 Thomas Lean, What Would I Do with a Computer? 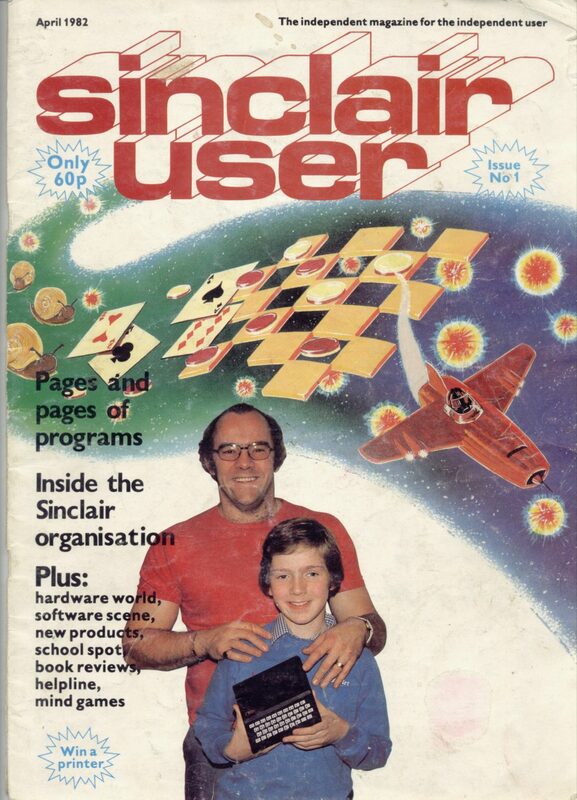 The Shaping of the Sinclair Computer, 1980–1986, MA thesis, University of Kent, 2004, pp. 44-50; Lean, Making of the Micro (fn. 2), pp. 129-131. 20 The entire run of the magazine is available for viewing at https://archive.org/details/sinclair-user-magazine. 21 Leslie Haddon, The Home Computer: The Making of a Consumer Electronic, in: Science as Culture 2 (1988), pp. 7-51, here p. 26; Neil Selwyn, Learning to Love the Micro. T he Discursive Construction of ‘Educational’ Computing in the UK, 1979-89, in: British Journal of Sociology of Education 23 (2002), pp. 427-443, here pp. 435-437; Lean, What Would I Do with a Computer? (fn. 19), p. 84. 22 Haddon, The Home Computer (fn. 21), pp. 45-46. 23 Richard S. Rosenberg, The Social Impact of Computers, third edition, San Diego 2004, p. 592. 24 Skinner, Technology (fn. 1), p. 210. 25 Lean, What Would I Do with a Computer? (fn. 19), pp. 73-77, 95; Lean, Making of the Micro (fn. 2), pp. 134-142, 194. 26 Lean, Making of the Micro (fn. 2), offers many examples of this effect. Users’ agency in reconfiguring the machine is addressed further, in the context of the US-originated TRS-80 computer, in Christina Lindsay, From the Shadows. Users as Designers, Producers, Marketers, Distributors, and Technical Support, in: Nelly Oudshoorn/Trevor Pinch (eds), How Users Matter, Cambridge 2003, pp. 29-50. 27 Lean, Making of the Micro (fn. 2), p. 251. 28 Raspberry Pi Foundation (founded May 2009), URL: http://www.raspberrypi.org; Coding for Kids (founded October 2011), URL: [...; not available any more]; Sue Black, The Goto Foundation, 30 November 2011, URL: [...; not available any more]. James Sumner, ‘Today, Computers Should Interest Everybody’. The Meanings of Microcomputers, in: Zeithistorische Forschungen/Studies in Contemporary History, Online-Ausgabe, 9 (2012), H. 2, URL: http://www.zeithistorische-forschungen.de/2-2012/id=4725, Druckausgabe: S. 307-315.